February Chapter Meeting: Streamer Fishing! Join us February 20th at Upslope Brewing as Courtney Despos discusses streamer fishing! Courtney will cover a review of streamer basics, rigging recommendations, retrieves, streamer fishing while floating vs. wading vs. still water and finally, cold weather tactics. Courtney Despos is an avid angler and traveler who dabbles in healthcare to pay the bills. She is a passionate ambassador to the outdoors and thrives on creating experiences and sharing knowledge. In addition, she is energized by learning from those around her in an effort to constantly challenge herself and create growth in all aspects of life and fly fishing. Have an amazing story to share or a technique to discuss; you’ll have her ear and attention! Courtney has had exposure to fly fishing from a young age as a result of a brother who dedicated his years as a youth to the passion. 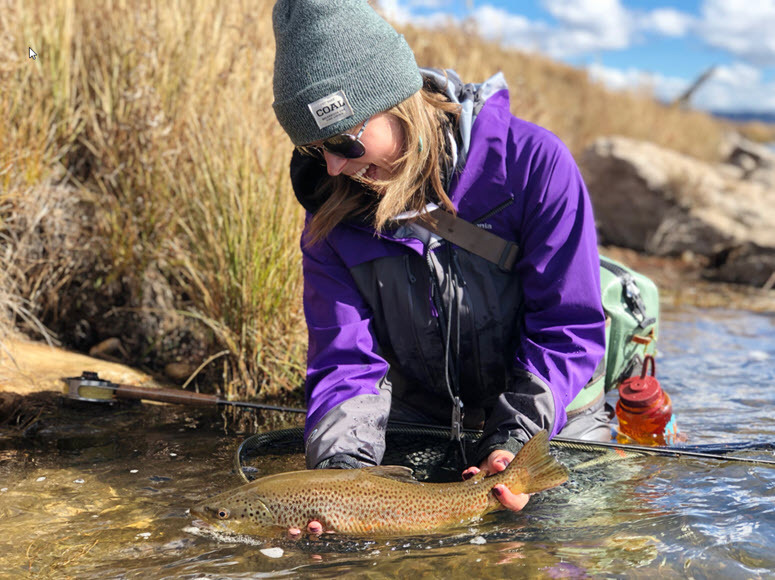 Following some difficult life events as a young adult, Courtney opted to separate from her stressful corporate career and immerse herself fully in fly fishing. During this transition, Courtney traveled the western U.S. and other areas in pursuit of knowledge and fish! Courtney’s motto is to ‘live in love’ as she believes that allowing passions and pursuits in the outdoors to define who you are, is the ultimate compliment and source to peace and happiness. Courtney has a true drive to eliminate intimidation and barriers for individuals looking to enter and already within fly fishing. When off the water, you can find Courtney with her 9 year old son, treating the sick and elderly as a Physical Therapist, holding educational community events related to fly fishing and/or guiding.